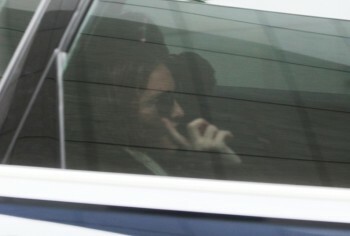 Madonna was spotted leaving her hotel for the Rebel Heart Tour rehearsals in Taipei, where she’ll kick off the Asian leg of the tour tomorrow! Ever wondered what happened to the dancers that were in Madonna’s “Truth or Dare”? Blond Ambition Tour dancers Salim, Carlton, Oliver, Kevin, José and Luis will tell their story in Strike a Pose, a new documentary that will be premiered at the Berlinale on the 15th of February! Infamous blogger Perez Hilton was a guest on Wendy Williams’ talkshow and talked about Madonna making her fans wait at the Rebel Heart Tour concerts. I’m a huge Madonna fan. I dressed up as her for one of my birthday parties, but even I’m upset by this. Last week, you talked about how Madonna was [3 hours] late to her show in Nashville. Reba [McEntire] was there. She was tweeting and instagramming about how inappropriate it was for Madonna not to be there. Well, she showed up even later to her show in Atlanta. In fact, she showed up so late on a weekday, that before Madonna went on stage, the arena put up an announcement that the last train out with public transportation went out at 1am. The show didn’t end till after 1 am and a lot of fans left early. Now, Madonna has been around the block a while. Her fans are rich, old people. A lot of them are demanding refunds. I would want a refund if I was one of those people who had to get on the train like that. The tour ended up ending on a high note, because she showed up only an hour and a half late in Miami. She showed up a little bit earlier in Miami and gave them a little bit of a longer show. She did “Don’t Cry for me Argentina” for the first time and brought out some special guests. Although, the shows weren’t sold out. There were still some empty seats. She did the same thing last tour when she went to Miami. She showed up really late and people were really upset. I have a feeling that the next tour will sell even worse than this one. If you keep disrespecting your fans, your fans aren’t going to show up for you. At the Madonna concert. She’s not on yet…really??? We’re here!! Where is she??? She came on at 10:31. When it comes to branding and digital marketing, few have as recognizable a brand as Madonna. She’s been entertaining audiences for 30+ years, and has reinvented herself again and again. 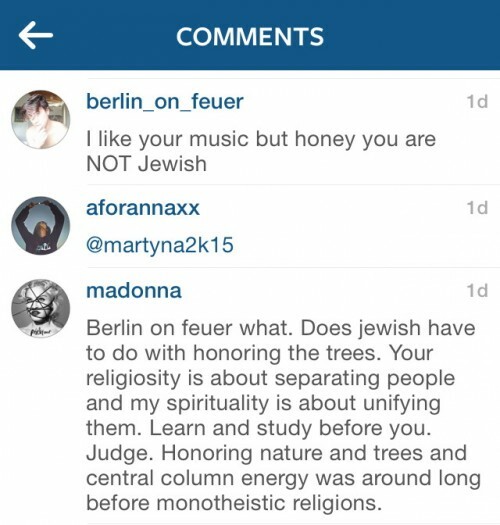 It doesn’t happen very often, but Madonna replied to someone on Instagram last week. After she posted an Instagram picture to celebrate Tu Bishvat, the jewish holiday that’s celebrated as an ecological awareness day, someone asked her why she would refer to the Jewish holiday if she’s not Jewish. Jennifer Lawrence previously admitted to redecorating the porch of Madonna’s manager’s house with her own spew when Madonna hosted an after-party there last year. This something I have never admitted to the world, but I puked at Madonna’s party too! Madonna’s ‘Rebel Heart Tour’ is coming to Singapore on 28 February 2016 and some religious conservatives in Singapore are against Madonna’s performance here. Facebook user Carrie Shalom, posting in the group ‘We are Against Pink Dot in Singapore‘ (a network which encourages mostly anti-LGBT (lesbian, gay, transgender and trans-sexual) discussions), said that after the Adam Lambert concert, now Madonna’s coming here, and that such concerts would “corrupt more of our people, our young people and harm society”. Singapore IS ROTTING… Fast… When authorities permit Pink ROT to be celebrated and promoted, year after year after year, homosexuality, transgender affirming propaganda films in our cinemas, Adam Lambert in Celebrate Countdown 2016 and NOW trashy, crude and vulgar Madonna with her profusely Sacrilegious, Sexually and Religiously Offensive and Obscene Rebel Heart World Tour IN Singapore to corrupt more of our people, our young people and harm society! Fenton Bailey and Randy Barbato are best known in Hollywood for their reality hits like RuPaul’s Drag Race and Million Dollar Listing. This year at Sundance, they will unveil the feature documentary “Mapplethorpe: Look at the Pictures” about the life and work of Robert Mapplethorpe. For his influence outside of photography, Mapplethorpe shaped the images and work of everyone from Madonna to more recently David Bowie. Mapplethorpe was exactly the same as Madonna — very strategic in who he collaborated with — Madonna and Mapplethorpe being both very singular artists but very good collaborators. The other parallel I see at the moment is David Bowie’s [final album] Blackstar. Again, it’s knowing they were going to die and what could they leave behind. Having turned their lives into art, how can they turn their deaths into art, and I think Mapplethorpe and Bowie both did that.